The aim of this study was to evaluate the clinical course and vascular remodeling of spontaneous isolated intramural hematoma of the superior mesenteric artery (SIHSMA) after treatment. In this retrospective study, 24 consecutive patients with SIHSMA admitted from January 2009 through December 2016 were included in this study. The clinical characteristics, type and location of the dissection, clinical outcome and vascular remodeling were analyzed retrospectively. The subjects included 21 men and three women, with a mean age of 50.58 years. The chief complaint was abdominal pain in all patients. The mean follow-up was 10.08 months. Among the 24 patients examined, two patients (8.33%) showed no obvious changes in the CT. Twenty patients were treated by conservative strategy. One case underwent exploratory laparotomy along with embolectomy and arteriotomy. Another three cases received angioplasty and stent implanting. Complete and partial remodeling was observed in 15 (62.5%) and four patients (16.67%). Three (12.5%) of the lesions had dissection remodeling and aneurysm change. 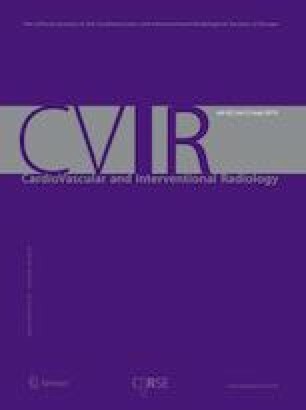 SIHSMA represented variable vascular remodeling, while most of the patient got a complete resolution during follow-up, and its clinical course was benign in this study. Vast majority of patients can be managed conservatively when there are no signs indicating organ ischemia. Z. Xiaoq and M. Hao contributed to the work equally and was regarded as co-first authors. The authors thank ZHI (Nanjing Medical University, Jiangsu Province Hospital) for her collecting data.